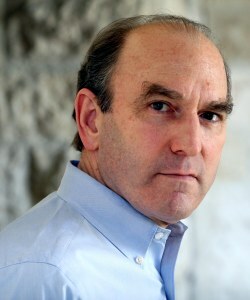 Elliott Abrams is senior fellow for Middle Eastern studies at the Council on Foreign Relations. He previously served in the George W. Bush administration from June 2001 to January 2009, ultimately holding the office of deputy assistant to the president and deputy national security advisor. From 1999 to 2001 he was a member of the United States Commission on International Religious Freedom and served as chairman in 2001. Abrams has also been president of the Ethics and Public Policy Center and assistant secretary of state during the Reagan administration. His single-authored works include Undue Process (1993), Security and Sacrifice (1995), and Faith or Fear: How Jews Can Survive in a Christian America (1997); he has also edited books on contemporary just war theory and religion and American foreign policy. Abrams has degrees from Harvard College, the London School of Economics, and Harvard Law School.